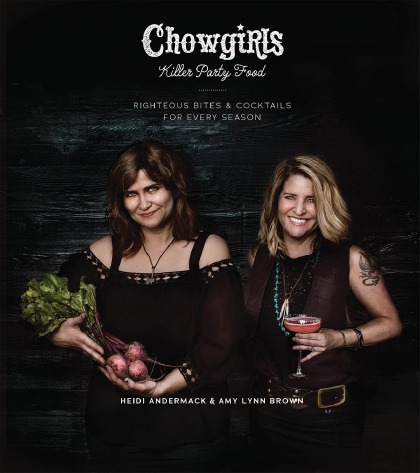 Heidi and Amy founded Chowgirls Killer Catering in 2004 with a shared passion for cooking and entertaining. Publishing a cookbook has been an aspiration since they started the company. Twelve years later this dream has realized with the release of their first cookbook through Arsenal Pulp Press. Driven by a spirit of collaboration, Heidi Andermack is a passionate member of her community in Minneapolis, helping establish the Northeast Minneapolis Arts District and serving on the board of the Northeast Minneapolis Farmers Market. When she’s not in the kitchen or participating in very important meetings, she can be found throwing punches at Uppercut, her neighborhood boxing gym, or stretching her body and mind with yin yoga. Heidi is mama to Maximillian Gold, wife to world-renowned font designer Chank Diesel, and personal chef to Katy Bug and London Dog. 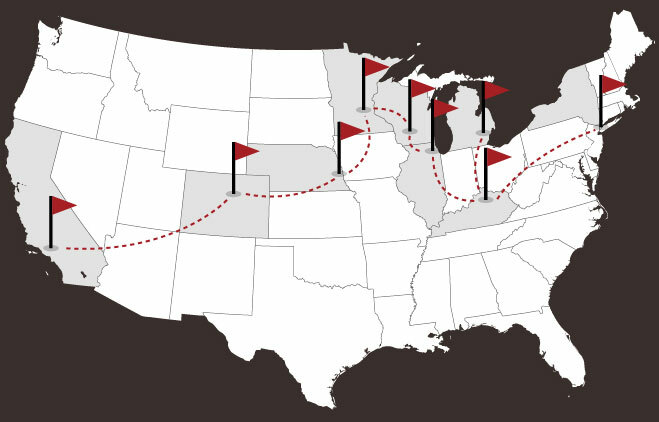 Born and raised in Kentucky, Amy started a Northward journey in the mid-'90s and settled in Minneapolis, where she married an old college friend. After a 15-year career in bookselling and publishing, she co-created the iconic Chowgirls Killer Catering in 2004. Besides the obvious reading and cooking, she stays busy distance running, gardening, raising her three daughters, Frances, Louise, and Julip, and throwing Frisbees with her Blue Heeler, Miss Honey Sue. Many people consider the shrub to be the oldest American cocktail; it made its debut during Colonial times. Vinegar was added to fruit as a preservative, allowing folks to enjoy summer’s bounty year-round. 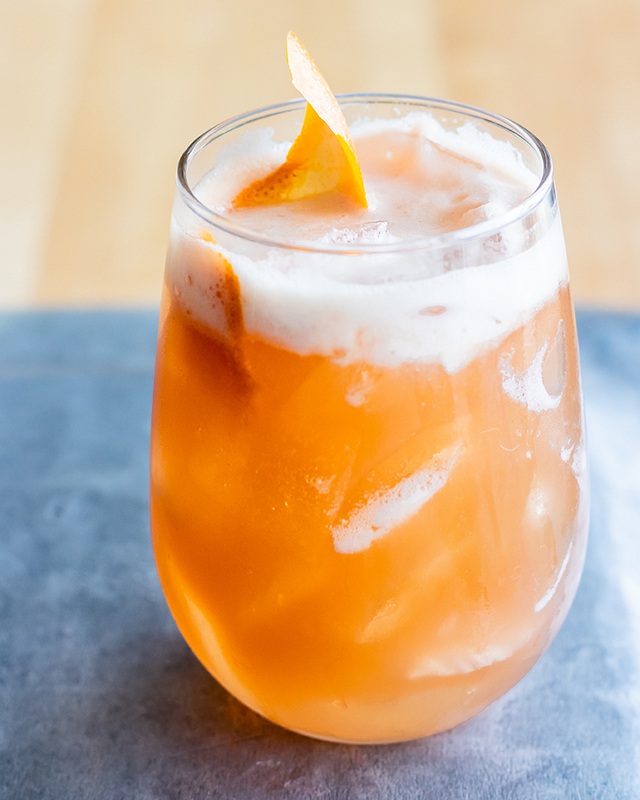 Someone smart added booze, and voila – the “shrub” was born! The fruit syrup bases of these cocktails will last for months when stored in the refrigerator. Amy’s favorite fruit, the peach, has a short-lived season. Make sure you’re only using flavorful, ripe ones, and your drinks will have not only real peach flavor, but a nice, rich color as well. It’s fine to substitute a different variety of whiskey, but we think bourbon gives it a more genteel touch. In a small saucepan, dissolve the sugar into the water and bring to a boil on medium heat. Add the peaches and continue to boil, stirring occasionally, for 5-7 minutes until the peaches have dissolved. Turn off heat, stir in vinegar and allow to cool completely. When cool, strain into a cocktail pitcher. Add bourbon and club soda and stir. Serve over ice in highball glasses, garnished with lime wedges. Here’s a list of local vendors around the Twin Cities where you can pick up a copy! Chowgirls Killer Catering is a women-owned, award-winning Minneapolis catering company using seasonal ingredients to create savory, sociable fare with a commitment to sustainability and thoughtful hospitality. Email us at info@chowgirls.net to discuss your next event!